(Adobe .pdf page) - not current! Ambon Island is in the Malukus (Moluccas) east of Java. 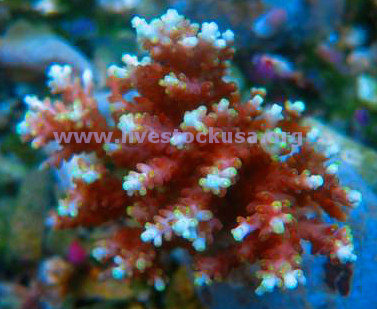 This is a new site to come on line with some outstanding corals. They are not a full-line collection station, but a specialty, mostly cultured corals, site with a short list. They specialize in the rarer or fancier color forms and species. It is a bit high as a result of that and the extra flight involved getting to Jakarta to get a flight to the U.S. The Acropora, Euphyllia, and Acanthastrea are amazing. They don't have the widest selection, but what they work with is A-1 5-star Ultra grade. They also have some fancy zoas and shrooms. It is all &apos;no picks&apos; and assorted only beyond the line item. You can&apos;t choose which Acans or Acros. The photo page gives you a good idea of what they are growing and shipping now though.